Jessica Harby is an American artist living and working in Northampton. Her practice spans drawing, video, installation, sound, and text. Using these mediums, she creates fragile spaces in which the delicate, the brutal, the absurd and the serious coexist. Within these spaces, she plays with the transmutability of identity and the absurdity and anxiety of being. Jessica often uses humour to address uncomfortable ideas. Recent drawing works feature the gurning face of Arnold Schwarzenegger set within a mountainous landscape as a means of exploring overblown masculinity and the limited power of the body. A Timeline, (2015) commissioned by NN Contemporary Art, includes a voiceover that lists the importance of cows in the history of art galleries. These buildings are imagined as destined oases of culture, miraculously descending from the sky, a notion that communicates what she feels is the strange and magical experience of supporting culture in depressed, post-industrial places. 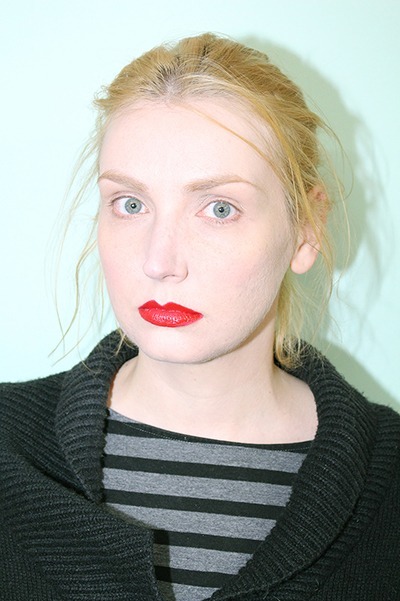 Jessica’s first UK solo show – titled Pretty Girls Doing Horrid Things – explored the social construct of villainy, and especially the black and white/good and evil nature of being young and female, using the story of heiress Patty Hearst’s kidnapping and Stockholm Syndrome in the 1970s. Alongside her works for gallery spaces, Jessica Harby’s practice is underpinned by writing which allies the fantastical with the diaristic. This work unpicks her relationship with both personal histories and a sense of place within the cultural and political landscape that has shaped her thinking. Her writing has appeared on the feminist website TYCI and in the collaborative, ongoing zine project Tappa Tappa Tappa (2012-present). In her most recent project YOUR RELUCTANT DIPLOMAT, Donald Trump is the ridiculous and terrifying central figure, amplifying her own conflicted national identity and sense of discomfort. Jessica was born in Oak Lawn, IL USA in 1980 and attended The School of the Art Institute of Chicago. She moved to England in 2008. For the latest updates from our Document artists, keep an eye on #documentartists.